The Department of Basic Education (DBE) is one of the departments of the South African government. It oversees primary and secondary education in South Africa. It was created in 2009 after the election of President Jacob Zuma, when the former Department of Education was divided. The political head of the department is the Minister of Basic Education; as of May 2009 this is Angie Motshekga. The department is headquartered in Sol Plaatje House, named after the author Sol Plaatje, in Pretoria. 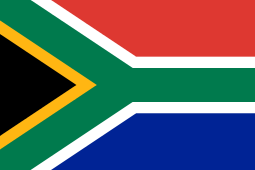 This South African ministry has been heavily criticized, especially during the 2012 textbook crisis. In the 2010 national budget, the department received an appropriation of 6,166.2 million rand, and had 730 employees. ↑ "Contact Us." Department of Basic Education. Retrieved on 18 November 2011. "Physical Address Sol Plaatje House 222 Struben Street Pretoria 0001"
↑ "Vote 14: Basic Education" (PDF). Estimates of National Expenditure 2010. Pretoria: National Treasury. 17 February 2010. ISBN 978-0-621-39079-7. Retrieved 30 August 2010.